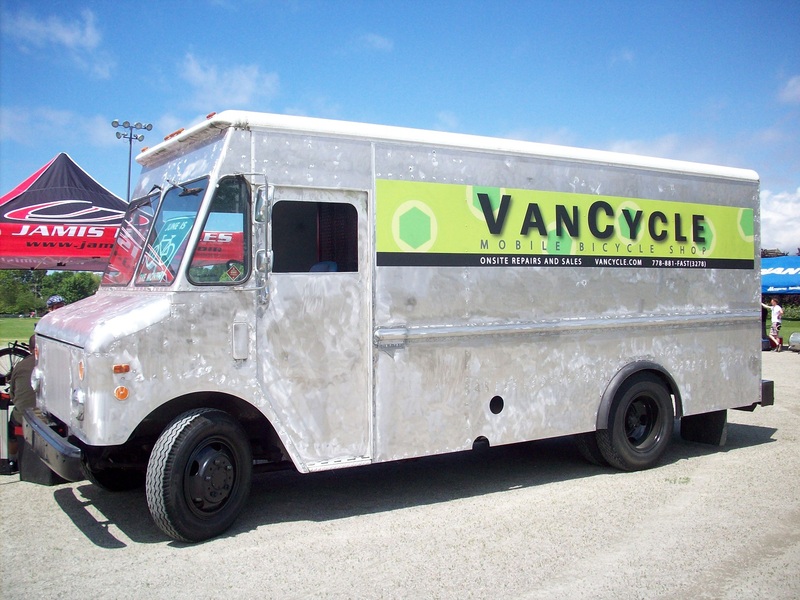 VanCycle Mobile Bicycle Shop—we come to you! Our mobile service truck brings a full-service shop to your home, workplace, or other location (all repairs are done in our truck). If preferred, we can also arrange for pick-up of your bike. VanCycle offers a full range of repairs and sales for all your cycling needs. We carry an extensive line of bikes, parts & accessories, and can special order hard-to-find items. A bike shop at your door! VanCycle Mobile Bicycle Shop is a locally owned company serving cyclists of all ages, skills, and experience. Novice cyclist looking for your first bike? Looking to start cycling to work or school? Pulling that old bike out of the shed? Need a tune-up? Experienced rider wanting to upgrade or customize? We can provide one-on-one advice and guidance to ensure you have a safe, comfortable, and FUN ride! VanCycle strives to be as environmentally responsible as possible. We take the extra effort to recycle all used items and packaging, disassembling wheels and parts, keeping as much material out of the landfill as we can. Contact us by phone: 778-881-FAST (3278) or through our Comment Form. We will respond to your request as soon as possible! Thanks for visiting. Call for an appointment 778-881-3278. We are only licensed for Vancouver. We would be happy to meet you in south Vancouver if that is helpful. We can do all of the work that you are requesting. Thanks for the question, Baden. Please read our post which has some suggestions. Do you guys know of anyone in the Walnut Grove/Langley area (or 15 minute drive from) offering bike camps to little kids? My son is 5, awesome on a two-wheeler and a natural trickster, but wants to learn more.